Bobby Cox accepted the Braves manager job for 1978 and he knew who he wanted to be his pitching coach, according to The Associated Press. He wanted Cloyd Boyer. He'd coached with Boyer with the Yankees. 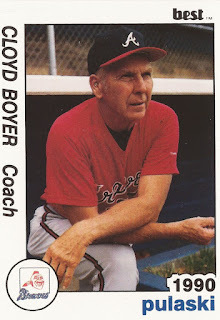 Boyer also already had two decades in as a coach, after a career as a player that saw parts of five seasons in the majors. "You want your own guys," Cox told The Associated Press that spring, "especially when it comes to the pitching coach. That's how come Billy (Martin) got Art (Fowler). He wanted his own man. I got C.B." 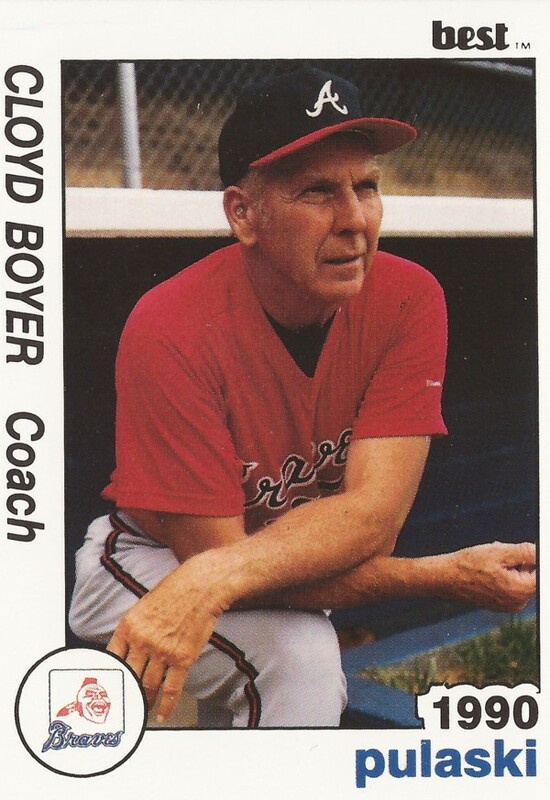 Boyer stayed in the majors as a coach through at least 1983, coaching with the Braves and later with the Royals. He then continued his decades-long baseball career back in the minors. Boyer's long baseball career began in 1945 and took a brief break to join the Navy. He came from a baseball family. Four of his brothers played pro baseball. Two of them, Clete Boyer and Ken Boyer, both had long major league careers. He joined the Navy after his 1945 season, staying until into the 1946 season, according to BaseballInWartime.com. He then resumed his baseball career. Boyer first made the majors with the Cardinals in 1949. The pitcher got into three games, starting one. He then returned for all of 1950. In 36 outings, he got 14 starts, posting a 3.52 ERA. In one August 1950 outing, Boyer pitched the Cardinals to a 6-1 win over the Boston Braves. Boyer went on to pitch two more seasons for the Cardinals, getting 18 outings in 1951 and 23 in 1952. He went 6-6 that 1952 season, with a 4.24 ERA. His final major league time came in 1955 with 30 outings, 11 starts, at Kansas City. Boyer continued playing in the minors through 1961, playing his five final seasons at AAA Indianapolis. He also began to coach. By 1966, he was credited as being one of the minor league coaches developing a new crop of young pitchers. Boyer returned the majors as a coach by 1975, serving as an assistant coach with the Yankees. In 1977, he was credited as pitching coach; Cox was first-base coach. Boyer stayed with the Braves through 1981. That August, Boyer praised Braves reliever Rick Camp. "I would compare him to Catfish Hunter," Boyer told The AP. "Rick's got the same mannerisms, both are country people, which is my kind of people." Boyer moved to the Royals as pitching coach for 1982, staying there for 1983. He then returned to the minors. He's credited as managing at short-season St. Catharines in 1986, then at rookie Pulaski in 1988 and rookie Idaho Falls in 1989. His last credited coaching stint came at Pulaski in 1990 as pitching coach.